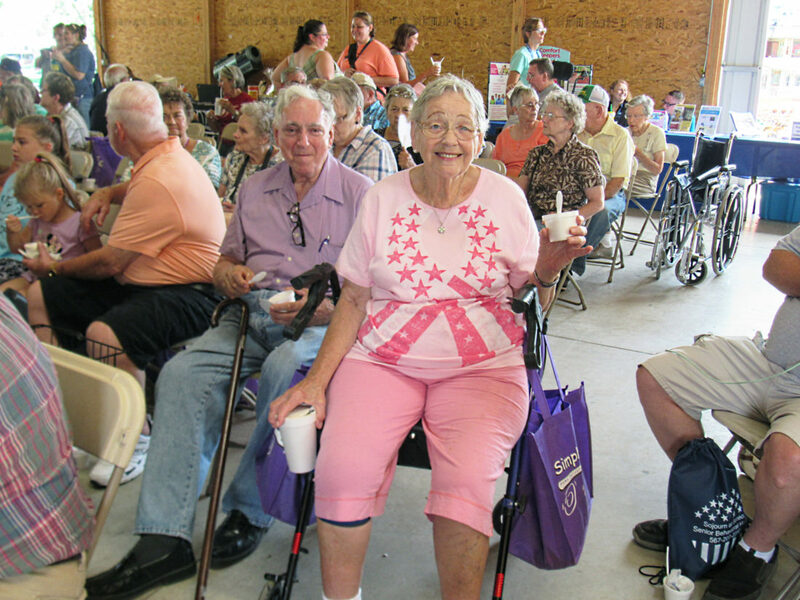 PHOTO BY VICKI JOHNSON Geraldine Smith and Ronald Green sit among a crowd in the Entertainment Building during senior citizens day Tuesday at the fair. 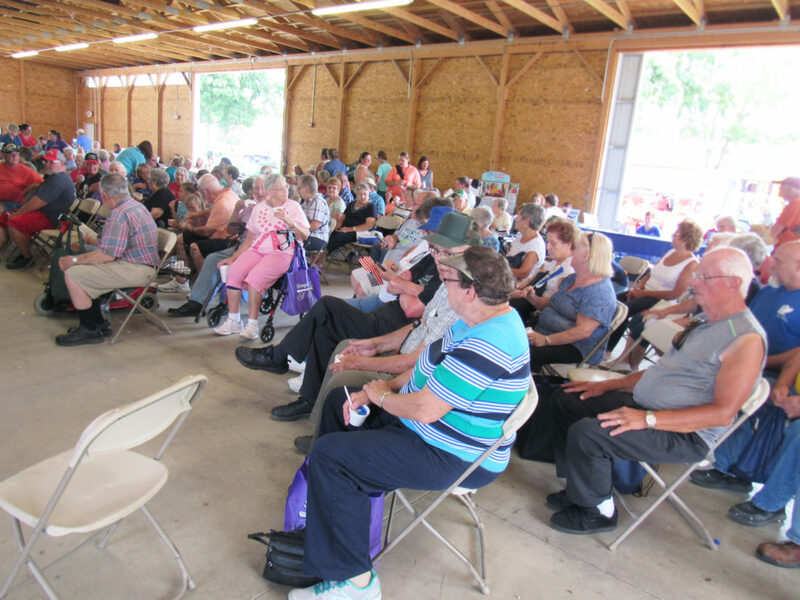 Senior citizens filled the Entertainment Building Tuesday morning and early afternoon to enjoy their special day at the fair. People ages 60 and older were admitted for $2 each. 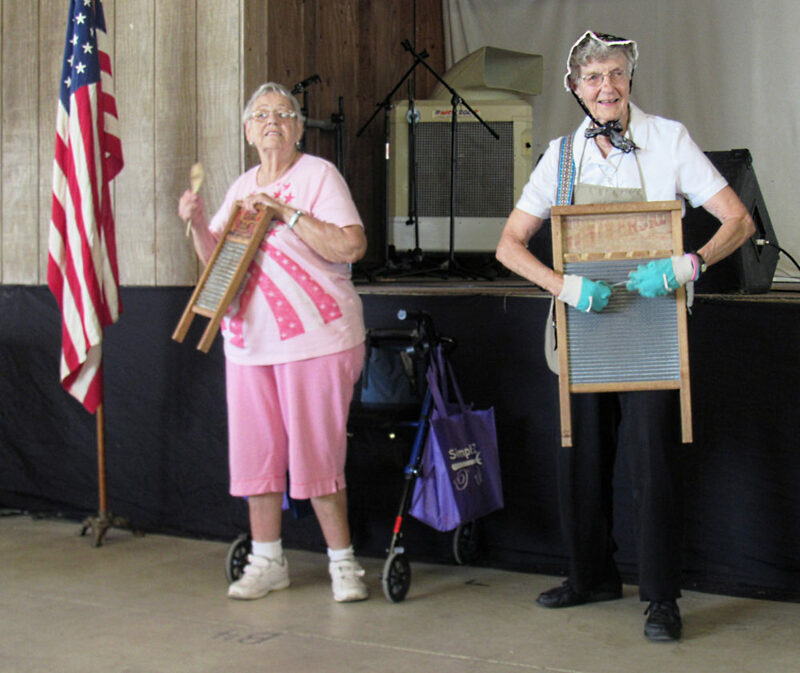 Activities were centered in the Entertainment Building where seniors and other fair-goers were treated to music from Glenn Parks Strolling Banjo, Spittin Image and Tiffin Washboard Band. A senior horseshoe-pitching tournament took place behind the Grange Building. Inside the Entertainment Building, local organizations such as senior centers and businesses specializing in services for older people set up displays 9 a.m.-3 p.m. PHOTOS BY VICKI JOHNSON Senior citizens await an ice cream treat from Old Fort Bank and the next musical performance in the Entertainment Building at the fair. Sponsoring the day were Old Fort Bank Co. and Hempy Water. Bank employees distributed ice cream and spoons for an afternoon treat. “Just like we do every year,” said Deb Clark, of Old Fort Bank. Ruth Barnes of Good Shepherd Home, Fostoria, accompanied by Melanie Birch and Linda Gutierrez, said it was many years since she had attended the fair. “I like to look at all the nice things,” she said. PHOTO BY VICKI JOHNSON Geraldine Smith (left) and Sister Veronica Nowakowski play washboards during a performance of Tiffin Washboard Band Tuesday afternoon in the Entertainment Building. Her friend, Ronald Green, said he also enjoys the music. “He comes for the food too,” Smith added. Cheryl Radin-Norman said she attended Tuesday to play in Tiffin Washboard Band of which she’s been a member for eight years. “We just have a good time,” she said.